Planning to draft a will, trust, or power of attorney? Going through a divorce, child custody battle, or child support proceedings? Looking for assistance with bankruptcy? Summerfield Law Office is here to help. Contact us at (813) 993-0190 to learn about how we serve Wesley Chapel and the surrounding area with professionalism and care. First named Double Branch for the twin creeks that flowed through the original pioneer settlement, Wesley Chapel is now part of the Tampa Bay metro area. Today, the same tropical climate, natural surroundings, and convenient location that attracted the first settlers continue to draw people to beautiful Wesley Chapel. The fastest-growing part of Pasco County, the community is close to Interstate 75 and 275 and offers easy access to downtown Tampa. The area is developing quickly, but is still close to the natural wonder and diverse wildlife of the Lower Hillsborough Wilderness Preserve. Home to the Saddlebrook Resort and Spa, The Shops at Wiregrass, and numerous luxury neighborhoods and retirement centers, Wesley Chapel has become a destination community for people who want to live their best lives. 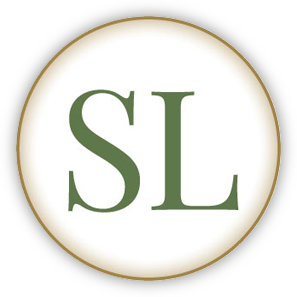 Summerfield Law Office provides the family law, bankruptcy, and estate planning services to help you do just that. Our passion for justice and dedication to helping people guides us in everything we do. Our estate planning services span wills, trusts, health care directives, powers of attorney, and asset protection. When times get tough, Summerfield provides reliable, effective legal services to alleviate your stress and get your life back to normal. Whether you are going through a divorce or are experiencing bankruptcy, we have the experience and expertise to quickly and successfully resolve the situation. And even when times are good, it is important to have a thoughtful estate plan that protects your loved ones. We are here to help with any and all of these services. Give us a call at (813) 993-0190 to learn more.